Hi all! New to Skoolie, but been planning tiny living for a while so I have a ton of ideas of what the future is going to hold. But, I need to know how much room I have to weld my own storage. Give me your bus year, chase, ect, and let me know how much room you have from the bottom of the chasse/floor, to the ground, obviously behind your skirting. Thanks everyone! I watched a gent install 55gallon poly drums under his 2001 A3RE for fresh and waste tanks. They won't fit. If I snug them up against the floor they are the lowest point under the bus by over 4". Like Johnny said, it will vary significantly depending on year, make, model and options ordered from the factory. Yup. Buses come lowered, standard, and even raised suspension. Is that legal? I saw a thread that said the lifted suspension on a bus wasnt legal because of the way they do it? thanks brother! 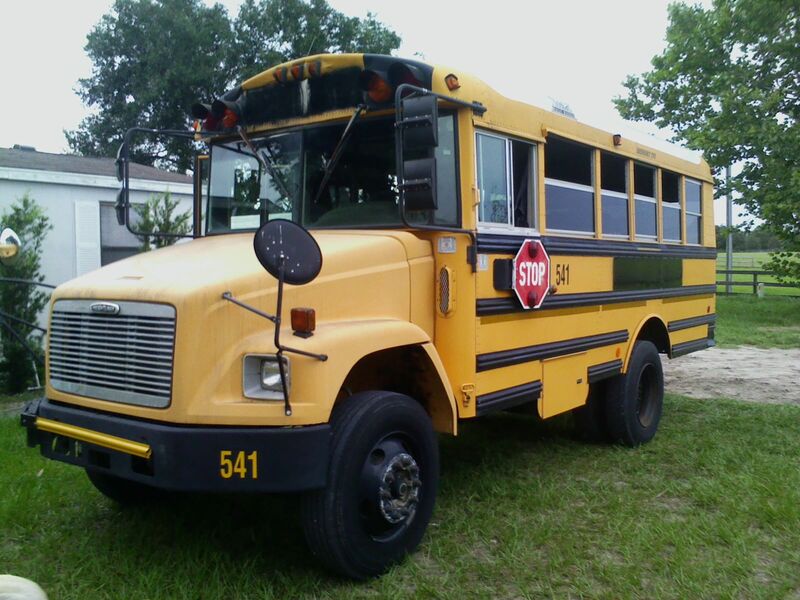 There is one down the road from me that is in school bus service. It is 4WD and lifted. Your question really has two parts for most buses. 1. There is ground clearance for the bus, which can vary considerably - not only do you have dramatically different suspensions, etc, but the ground clearance on a bus may be very different at the door, bumper, drive train, etc. 2. You have the height between the bottom of the skirt and bottom of the frame. This is the area in which you'd actually hang all the storage boxes, water tanks, etc. which is more relevant for your question. In my bus (36' Amtran Rear Engine), this is 17". This is a fairly typical height for full-length buses. I added three 18"-high storage boxes, with a 1" bracket. The bus already had one 18"-high storage box installed also.